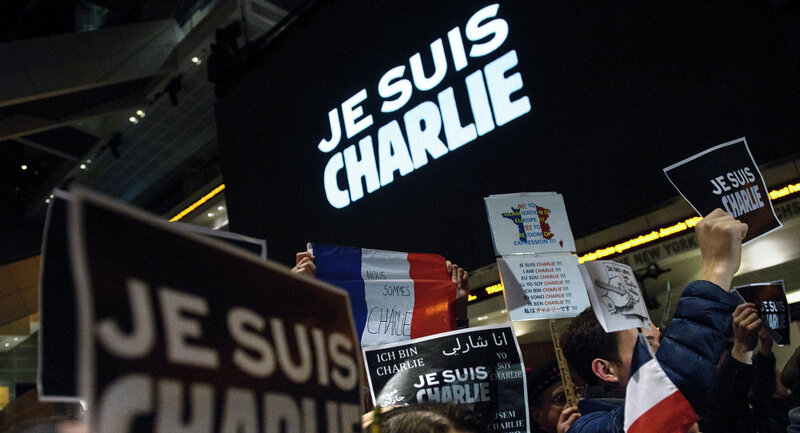 The recent Charlie Hebdo terrorist attack in France represents a deeper problem rising across Europe, coping with the growing number of hidden jihadist cells that see this attack as only the dawn of a new wave of international terrorism. MOSCOW, January 10 (Sputnik) — Two brothers, Cherif and Said Kouachi, who killed 12 in an attack on Charlie Hedbo magazine on Wednesday, were finally shot dead by police as they fled from a warehouse in the north of Paris on January 10. The recent terrorist attack in France represents a deeper problem rising across both Western Europe and Russia, coping with the growing number of hidden jihadist cells who see this attack as only the dawn of a new wave of international terrorism. Although it has not been confirmed in mainstream media, both Said and Cherif Kouachi each have their own relationships to various jihadist groups. The eldest brother, Said Kouachi trained with al-Qaeda in the Arabian Peninsula (AQAP) in Yemen. Information from the French Intelligence agency shows that Said Kouachi had travelled to Yemen as late as 2011 to train with the al-Qaeda affiliate there. The younger brother Cherif Kouachi, was a member of a enlistment ring in Paris known as “Nineteenth Arrondissement Iraqi Networks” that helped to funnel Muslims from France to wage jihad in Iraq. The Kouachi Brothers are just two of thousands of European fighters which have begun to join the ranks of radical Sunni Jihadist groups in Syria, and as terrorist cells begin to grow all over Europe; fears are starting to run high that elite jihadists trained in warfare abroad will begin to stage attacks at home. Although we have yet to determine how Kouachi funded his airfare to Syria, and how the brothers paid for the AK-47’s used in the attack (which cost $1,200 to $1,800 on France’s black market), we have access to insider information which can serve as a preview to the typical recruiting processes within al-Qaeda. A jihadist coming from Europe will need an average of $3,000 to $4,000 to reach Syria. His coordinator at his local Mosque can assist him through “Tajheez al-Ghazi System” to gather the necessary funds on his behalf. He will then be instructed to book a ticket either to Istanbul or Antalya, Turkey. These points of arrival are chosen because they are typical Turkish tourist destinations and hence easily covered up by secondary agendas. In cases where a new Jihadist recruit has no-preexisting contact at his local Mosque which can facilitate his way to Syria, he can do online research about Jihadist groups and establish rapport online through Facebook pages, twitter accounts or Jihadist blogs. Upon his arrival in Turkey, he will be told to go to a confidential mosque in the Zeytin Burno in Istanbul where he is supposed to ask for certain individuals. Once he meets these people, whom he will only know under their alias name, he will inform them that the webmasters of al-Qaeda recruitment pages instructed him to establish contact. Before sending the new recruit closer to the Turkish-Syrian border, that contact will question his seriousness of joining Jihad. In both cases, no matter if sent by a Webmaster online or through a contact within his community at home, their way from Turkey into Syria will be the same. They will then get in touch with the local coordinator there, who will then drive them closer to the Turkish-Syrian border before they cross into Syria by foot. Once inside Syria, Idlib is the border town where most new recruits arrive. Idlib hosts several safe houses that belong to the various radical Jihadist groups. Once they have chosen a Jihadist group they will be questioned for an hour about their motivation to join. The person in charge of the interview is called “the first line of defense.” It is within the interviewer’s discretion to determine the suitability of the new recruit and hence to ensure that no infiltrators are taken abroad. If a candidate raises suspicions about his decision to join Jihad at first, he will be questioned on his willingness to make himself available for a suicide mission. Likewise, anyone who is able to memorize and recite the Quran will pass the interview immediately. 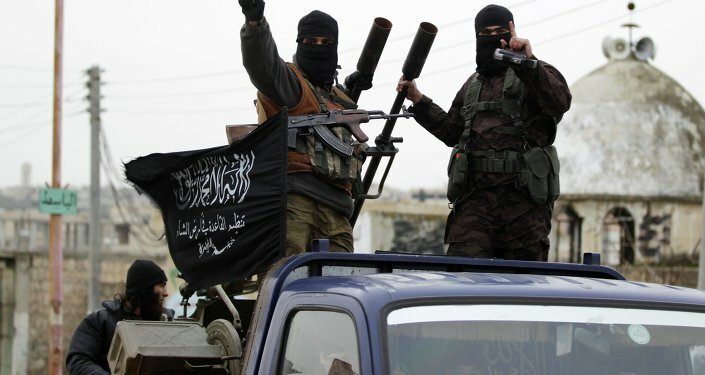 There are only three al-Qaeda approved answers concerning a new recruit’s motivation to join the Jihad in Syria: due to a motivation to protect fellow Muslims in Syria; because they seek martyrdom; or the desire to make God’s laws supreme by establishing an Islamic state in Syria. Following a successful interview, recruits will be asked to submit three items to their Jihad group’s safe house: their passport, their last will, and any remaining cash or belongings not suitable on the battlefield. All of the belongings of the recruit are kept in an envelope that has a specific number assigned to it. The same number corresponds to a picture ID that includes a picture taken from the recruit upon his arrival as well as his chosen alias name. The recruits are then sent to a 45 day military training camp. There, they will be trained in various types of weapons, ranging from small firearms, anti-tank weapons, sniper rifles, or mortars. Night time and early morning hours are always reserved for religious indoctrination and radicalization. The final steps include sending the new Jihadists to various locations in Syria such as Aleppo, Damascus, Homs, Der Sur and others. Jihadists are free to change various groups alongside which they fight due to a considerable freedom of movement. Someone, for example, who has trained with Ahrar al-Sham are able to change sides and join IS or Jabhat al-Nusra. The fact that these radicalized individuals carry Western passports should be a grave concern for European governments. Upon their return, these individuals can spread radicalized views in their home countries, or as in France, carry out terrorist attacks. There are currently 15,000 fighters from more than 81 countries travelling to Syria. About 3,000 foreign fighters are from Western countries and over 800 Russian citizens alone have travelled to Syria to fight. And due to the relentless recruitment efforts of Jihadist groups online targeting European citizens specifically, this number will keep rising. Charlie Hedbo’s editor-in-chief Stephane “Charb” Charbonnier was already listed as a future assassination target in al-Qaeda’s 2013 magazine Inspire. 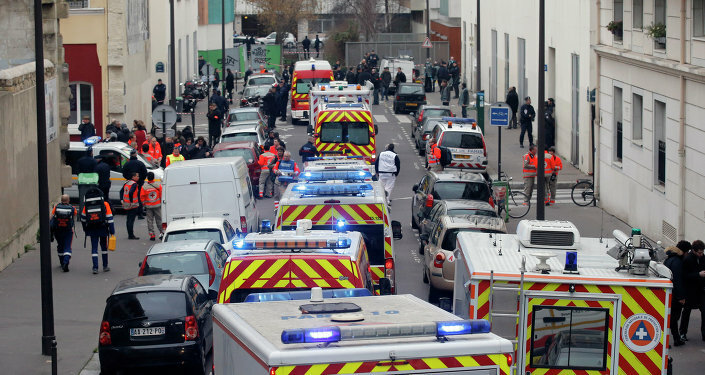 The recent attacks in France are only the beginning of a new era in terrorism that will sweep across the world. To see al-Qaeda’s upcoming assassination targets for 2015 please refer to our previous article here.